Mirror's Edge took seven years to make and while the game wasn't exactly a huge commercial success, former DICE CEO Fredrik Liliegren says it was nonetheless very beneficial for the studio. Released in late 2008, Mirror's Edge was in many ways a significant departure from mainstream game designs. 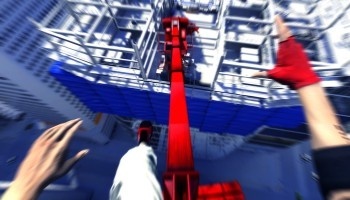 The first-person "parkour simulator" featured intense, bright colors, an entirely unobstructed HUD, realistic movement and gameplay that focused more on evasion than confrontation. It was flawed in many ways but also extremely innovative, but it never really caught on at the cash register, posting respectable but far from outstanding sales. In spite of that, Liliegren, who co-founded DICE but left the studio when it was acquired by EA in 2006, maintains that it had a very positive impact on the developer and that the sequel should be even stronger. "I think they were given an opportunity, and that was stated throughout the seven years 'to come up with something different,' and I think that they did that," he told Gaming Union. "I think they achieved that goal. I think they learned a lot, and I think that they definitely got a lot of press out of it, [an] insane amount of press actually, given that they didn't really sell that well. So I think it raised DICE itself for a developer that thinks out of the box." "Knowing that that product was in development for about seven years [laughs], and given that it wasn't Mirror's Edge when we started, but it was one team working on 'the new IP' for seven years, I think they did a strong final," he said. "They did something different that people hadn't done before. I think it needed a second generation so they can tweak on it, I played it a little bit." EA confirmed in June 2009 that a "small team" was working on Mirror's Edge 2, but nothing else is currently known about the game.